High-quality cotton short sleeve tees - silk screen front and back. Black tee with screen print white graphic front and half-tone photo flyer on the back. Available in standard adult sizes Small through XXL. Limited availability of sizes on hand. 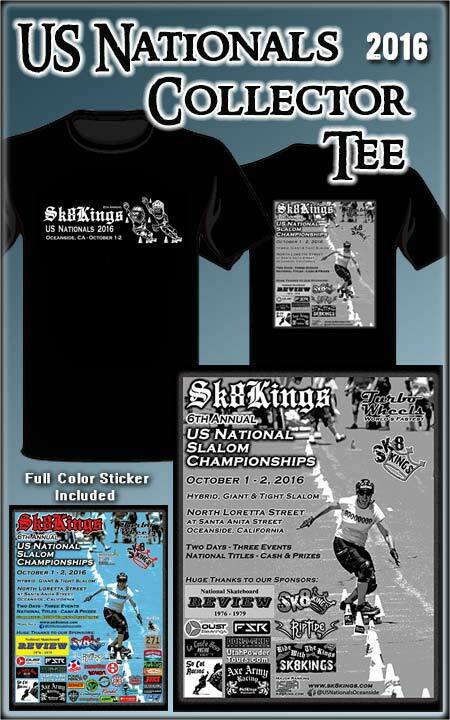 Bonus Bundle: Each tee comes with a full color collector event sticker AND a Concrete Wave Magazine (November 2016 issue) with the event coverage featured -- while supply lasts! Bundled items included: One t-shirt, a full color collector event sticker AND a Concrete Wave Magazine (November 2016 issue) with the event coverage featured. Don't wait too long - quantities are limited!